Edward was on his honeymoon, but the rest of us were at Rockingham. We quickly discovered that the Rockingham track is apparently made of a material not normally found in civilized countries. We figured it was an amalgam of seashells and asphalt, but that was just a guess. 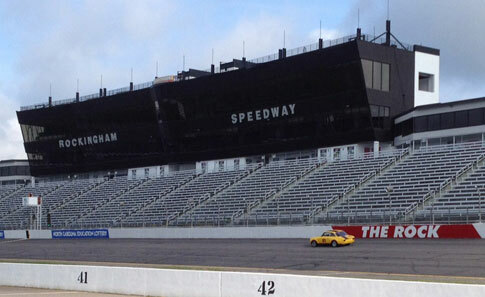 All we were sure of was that you couldn't run a stock car on the Rockingham road course for more than 20 minutes, because that is how long it took to take a new Hoosier tire and strip it of all its tread. 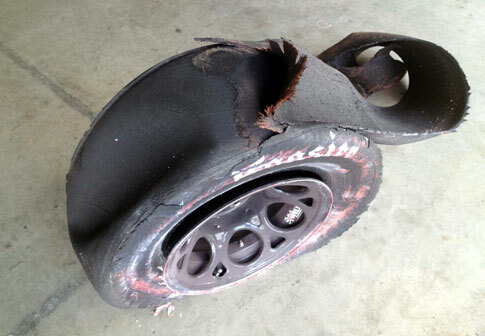 The rest of the tires were worn down to fabric, but only the right front came apart. We won't be going back to Rockingham, but it wasn't all bad. 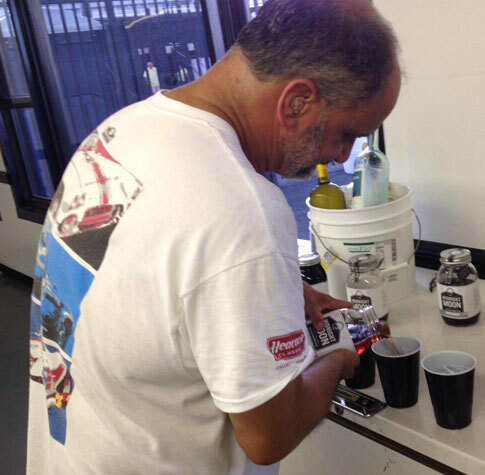 The people who manage the racetrack were terrific. Unfortunately, that couldn't quite offset the racing surface and the pungent fertilizer from a nearby chicken processing plant that was spread from one end of the facility to the other.